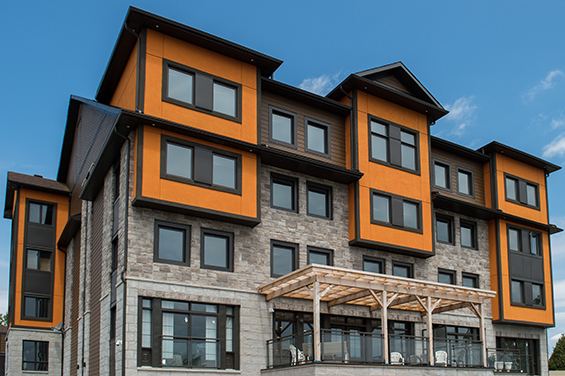 On Saturday, June 23rd, Sunset Cove celebrated our official grand opening. Despite the rainy weather, the day was a huge success with approximately 200 people in attendance! Family, friends and the Long Sault community enjoyed a complimentary barbecue and fantastic entertainment. 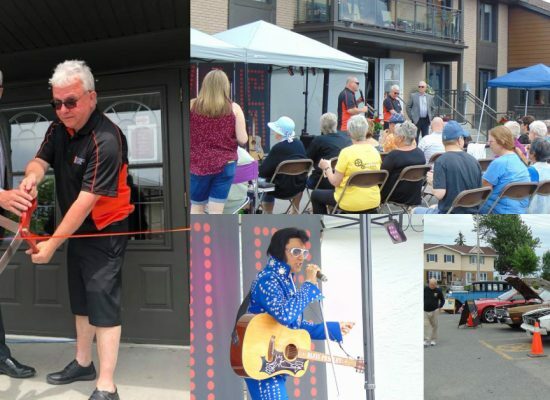 Everyone enjoyed a live double-set performance by Sylvain Leduc (ELVIS), and checking out 15 classic cars via the Golden Gears Car Club. There was also fun for kids which included posing with the South Stormont Fire Department with their new truck and playing on the inflatable obstacle course and the jumpy house provided by Yves Houle Carnival. To top off the afternoon, Henri and Al, of the Sunset Cove team gave touching speeches followed by a ribbon-cutting ceremony and photo op with Mayor Jim Bancroft. 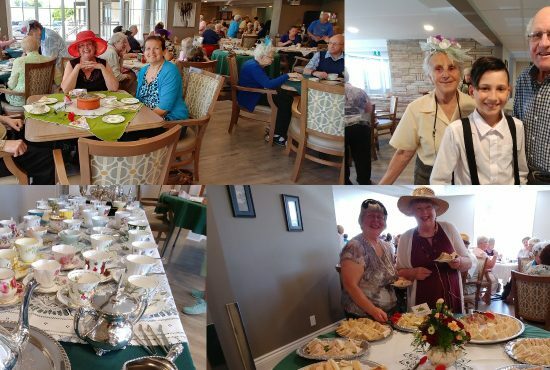 On Saturday, June 2nd we hosted our Queen’s Coronation High Tea event in partnership with The Lost Villages Historical Society to celebrate the 65th Anniversary of Queen Elizabeth II’s Coronation. We had a tremendous turnout with over one-hundred people in attendance! We were also pleased to see a few dignitaries present such as retired MP Jim Brownell (President of the Lost Villages Historical Society), and Tammy Hart (Deputy Mayor of South Stormont). 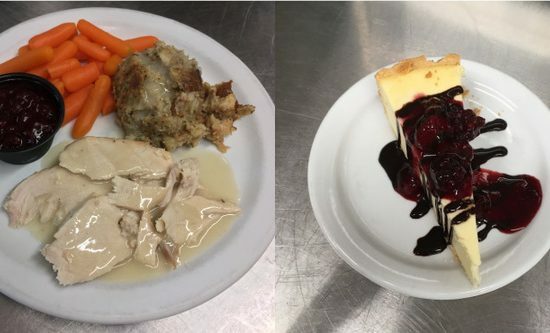 We are truly humbled to have such amazing support from our community! Our guests dressed up for the occasion and we loved seeing the beautiful hats and fascinators that our guests wore! Everyone enjoyed each other’s company, drank tea from fine china teacups and ate delicious food while listening to high tea music. There were even prize giveaways and an engaging speech by Jim Brownell. Thank you to our guests who attended the event. A special thanks to The Lost Villages Historical Society, our prize donors and everyone else who helped make this event possible, it was truly a success!